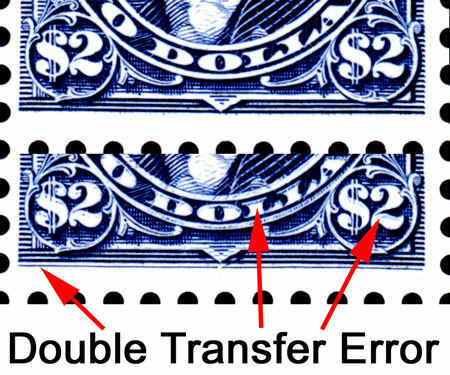 This commemorative sheet was printed in large press sheets containing 48 sheetlets of 4 stamps, and this error occurs in just one of these sheetlets, making this error sheet 48 times as scarce as a normal sheet. With a catalog value of only $65, we feel it is undervalued and this is an excellent opportunity to add this rarity to your collection at a great price. This sheet is actually scarcer than the Imperforate Bugs Bunny sheet and the Recalled Legends of the West error sheet – other famous scarce sheets from the 1990s which sell for considerably more than this error sheet!